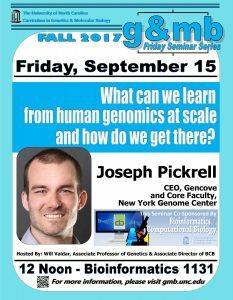 The G&MB Friday Seminar Series welcomes Joseph Pickrell, Adjunct Assistant Professor in the Department of Biological Sciences at Columbia University and Junior Group Leader and Core Member at the New York Genome Center on Friday, September 15th, 2017. 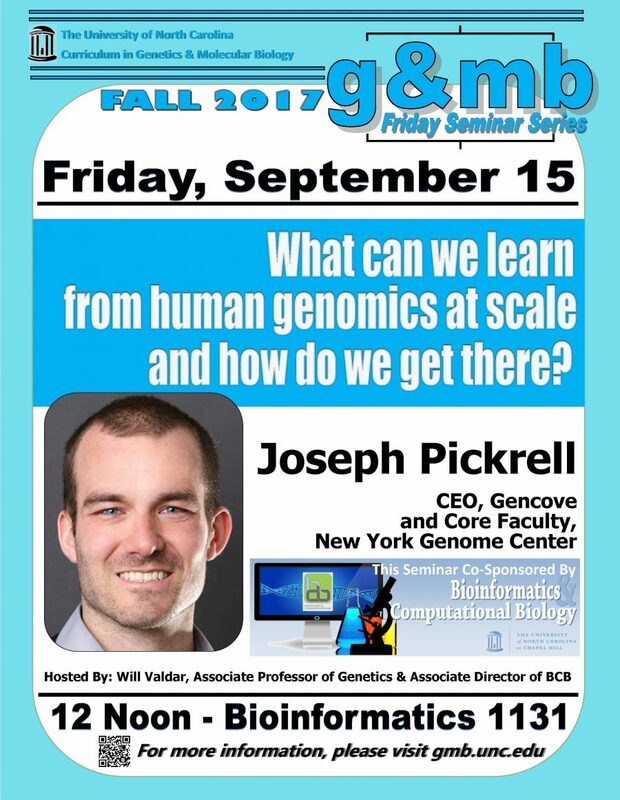 Dr. Pickrell’s talk title is “What can we learn from human genomics at scale and how do we get there?”. Dr. Pickrell is hosted by Will Valdar, Associate Professor of Genetics and Biostatistics, Assistant Director of BCB. This talk is cosponsored by the Bioinformatics and Computational Biology Curriculum and will be held in UNC’s Bioinformatics Building in room 1131.